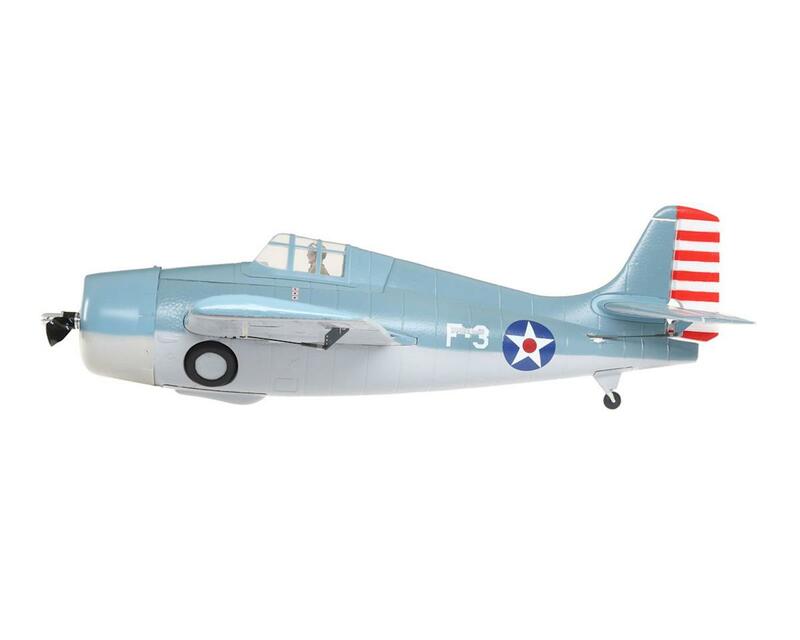 From Pearl Harbor through 1942, the F4F Wildcat was the only U.S. fighter in the Pacific theater capable of thwarting the advances of Japan’s naval air forces. And though it was slower and less maneuverable than the vaunted Zero, the rugged Wildcat helped a skilled pilot overcome the performance gap and live to fight another day. 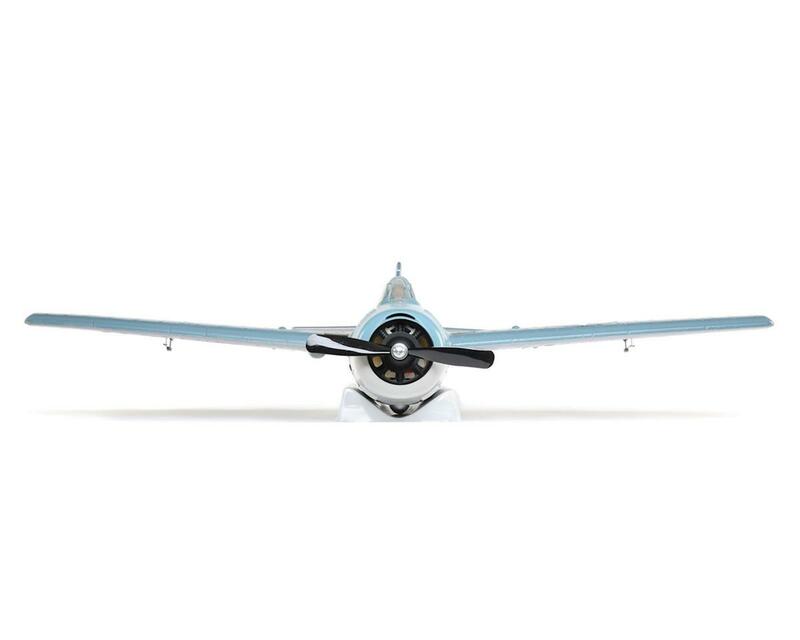 The classic ParkZone F4F 1.0m Wildcat parkflyer returns as a great flying warbird you can enjoy almost anywhere. 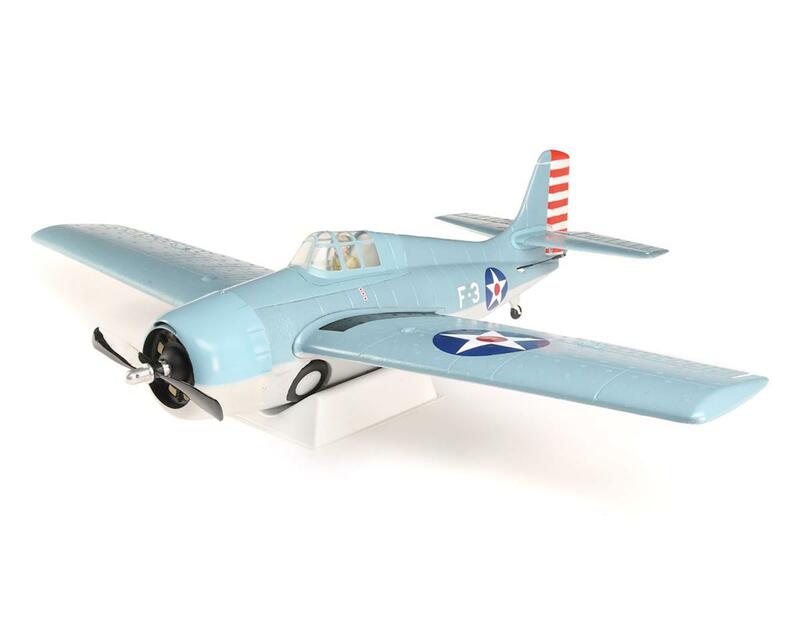 Modeled after a plane flown by Lieutenant Commander Edward “Butch” O’Hare—the U.S. Navy’s first flying ace—a legendary warbird comes to life with authentic detail such as a realistic paint scheme, simulated engine and cowl flaps, molded wheels tucked into the fuselage and more. Its flight performance is equally impressive thanks to the full 4-channel control and ample power provided by its 480-size brushless motor system. Fast Assembly: Out of the box, final attachment of the horizontal stabilizer and two-piece, plug-in wing is simple. Each wing panel features a dedicated aileron servo for hassle-free control that’s precise. Durable Construction: Construction with durable EPO material makes it possible to replicate complex detail in a lightweight form. The result is an outstanding scale appearance that’s easy to maintain and allows the most satisfying flight experience possible to shine through. Brushless Power: The powerful 480-size brushless outrunner motor installed features 960Kv and delivers smooth operation that’s surprisingly quiet. Excellent flight times and strong performance can be expected with 3S Li-Po battery packs from 1300–2200mAh. Plug-N-Play: This Plug-N-Play model comes with the motor, ESC and servos installed. All you need to do is finish some final assembly, install a receiver, charge a battery and fly.